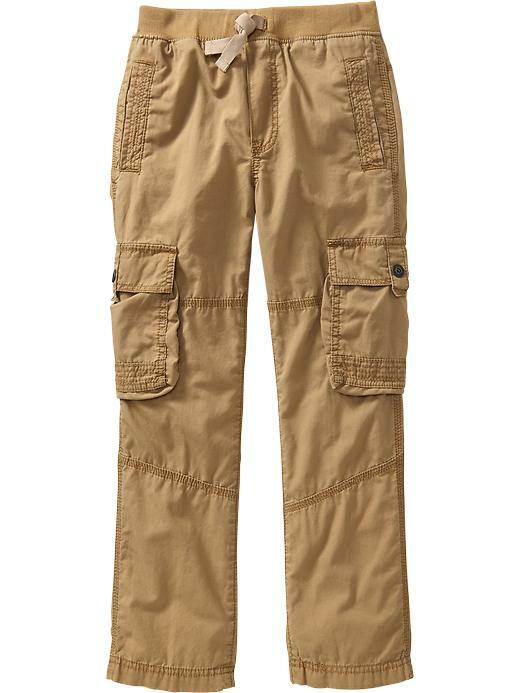 Old Navy Boys Pull On Rib knit elasticized waistband. Accent tie front and faux fly. Side seam welt pockets. Snap closure cargo pockets on leg and square patch pockets on back. Soft, medium weight canvas. Relaxed fit.